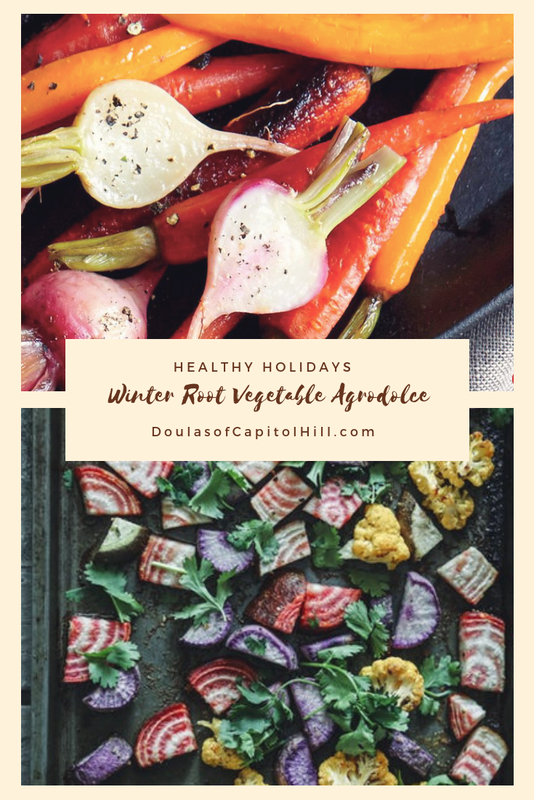 Today we have another one of Doulas of Capitol Hills amazing chefs, and postpartum doula, Muriel Vanderpuye, on the blog sharing a healthy recipe with you. A warm brussels sprout and pomegranate salad. Muriel shared, “my children just decided they wanted to choose a healthy lifestyle and traditional African food was no longer welcome in my home. 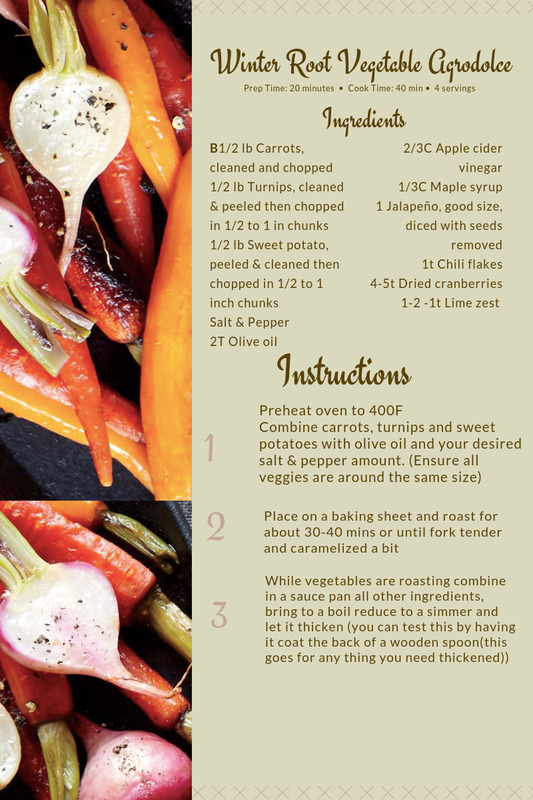 As a mom I had to make some changes and I bumped into this recipe, I tweaked it a little and we just love it. The Brussels sprouts vegetable comes from the cabbage family very popular In Belgium and I believe the reason for its name, Brussels. Brussels sprout is quite controversial either you love it or you hate it but this recipe made me fall in love with this unique vegetable. The first time I tasted a sprout was in culinary school in England. It tasted quite bland with a little bit of a bitter aftertaste. Last year I found this recipe online and added some personal touches. The holiday season is filled with so much joy and celebration. But we know that it can also bring on a lot of stress and heavy comfort foods. For the months of November and December Doulas of Capitol Hill is celebrating how to have a healthy holiday season. One of the ways we want to encourage you to participate in the holidays, while minding your health, is by providing some easy and delicious recipes. Our team chef and postpartum doula, Vanessa Fowler is sharing one of those recipes with you today. I decided to come up with different kinds of granola, mainly for my husband, and I love this one in particular. He is not a big breakfast person but I am. I think it makes for a better day because it makes for a better you. He does eat cereal so I wanted to make it a bit healthier. Plus, I always find him getting frustrated down the cereal aisle because it’s often all sugar or healthy but no flavor. Winters Granola came about with the thought of just wanting to bring warmth and flavor of the season to my husband during the winter while he is at work. It’s brought us so much joy! Now I am able to share my Winters Granola with all of you. May it bring you warmth and flavor of the season and as much joy to your family as it has to mine. One of our wonderful Instagram followers suggested adding some dates if you're towards the end of your pregnancy, and we love that idea! There have been numerous studies that show the positive effects of dates on the outcome of labor. According to Mama Natural A study published in 2017: Date fruit consumption at term: Effect on length of gestation, labour and delivery. So go ahead and get the go ahead from your provider and then pile on those dates!